The architects worked with the site's small footprint and maximized the space with clever solutions, including tucking a powder room beneath the staircase and creating an office/guest room with a Murphy bed. 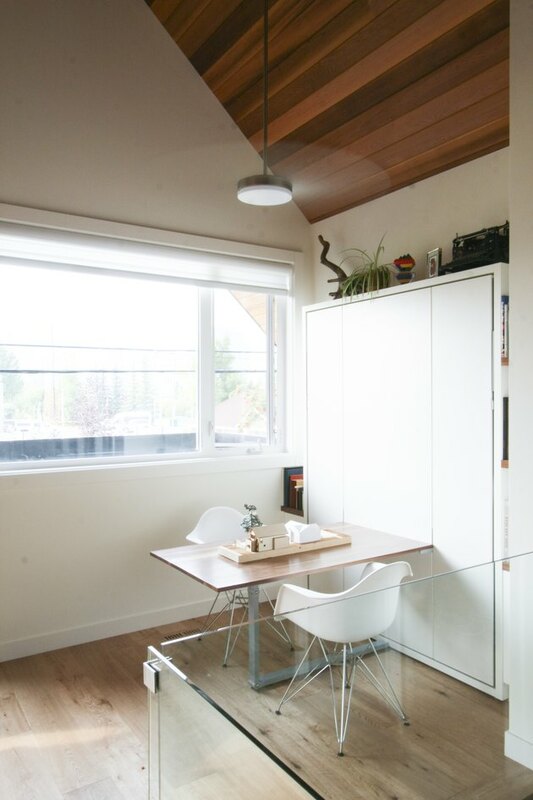 They were able to satisfy everything on the client's list of must-haves and even went so far as to provide a tenant: Erickson now lives in the laneway house and uses it as a show home for potential clients. The architects chose natural and low-maintenance materials for the exterior, such as brick and cedar. The south-facing fence was equipped with a solar thermal collection system. Preserving a historically designated mountain ash tree was a major priority for the client. 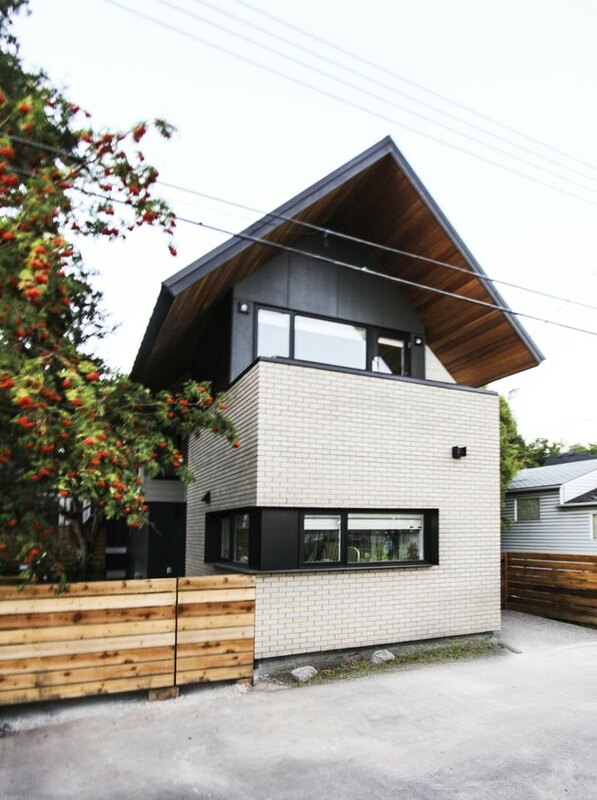 "This tree became a big driving force with the design of the laneway house, both in terms of preserving it, and accentuating it," said Erickson. 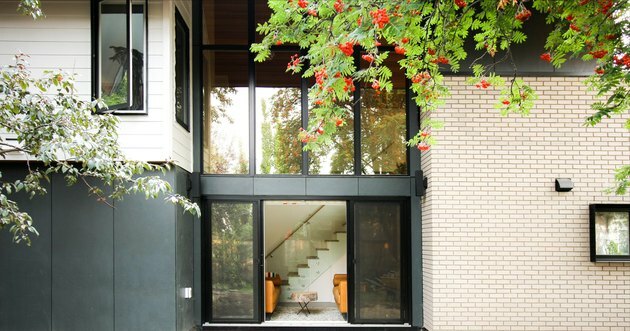 A double-height glazed wall connects the garden and the tree to the living area. The ground floor has an open layout, with the living room, kitchen, and dining area flowing into each other and the adjacent garden. 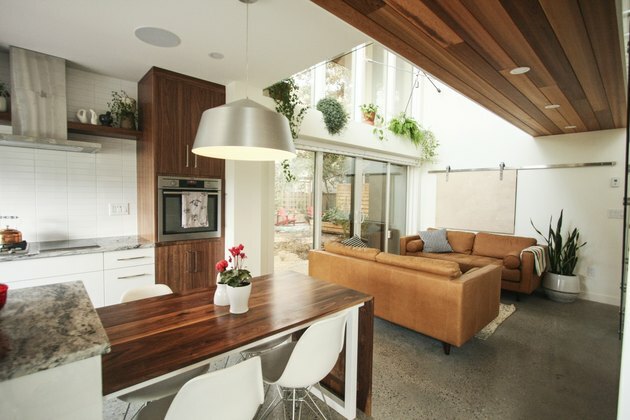 Eames chairs are tucked beneath a custom walnut table in the kitchen. The living room features a pair of Article sofas. 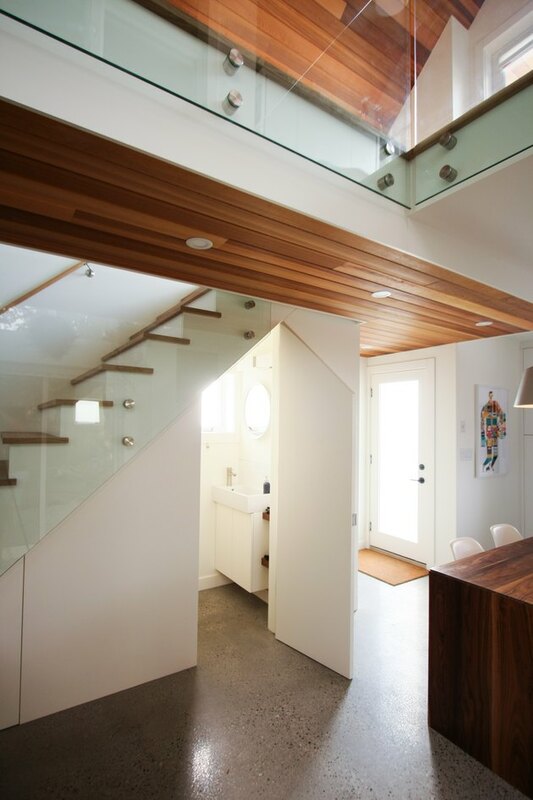 The ground level's polished concrete floors continue into the powder room, which is tucked under the staircase. 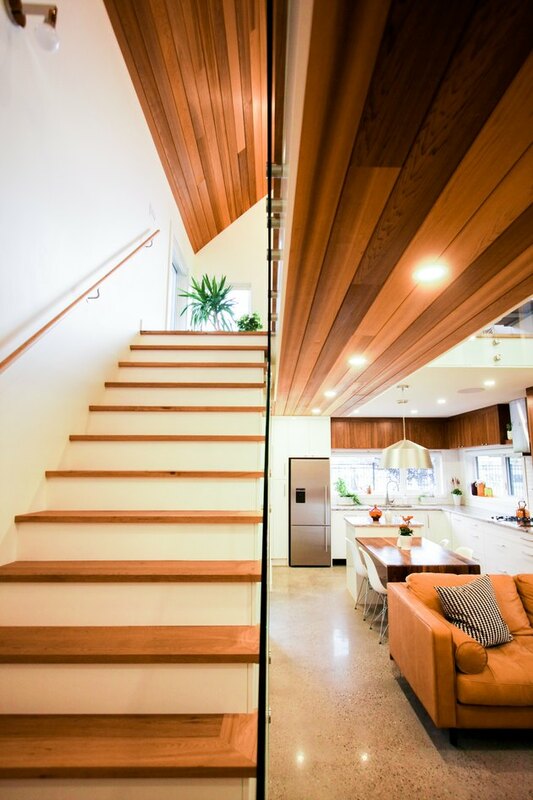 The architects incorporated different types of wood throughout the design, from the maple stair treads to the walnut cabinetry to the cedar-clad ceilings. The staircase leads to the private spaces on the second floor. 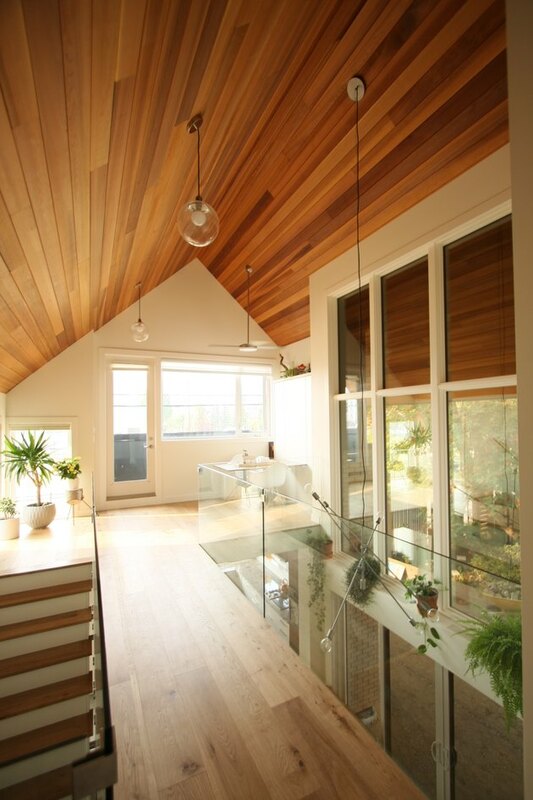 A bridge with maple floors and glass balustrades leads from the bedroom to the office. The office is equipped with a table and Murphy bed by Resource Furniture. The table was customized with a walnut top. 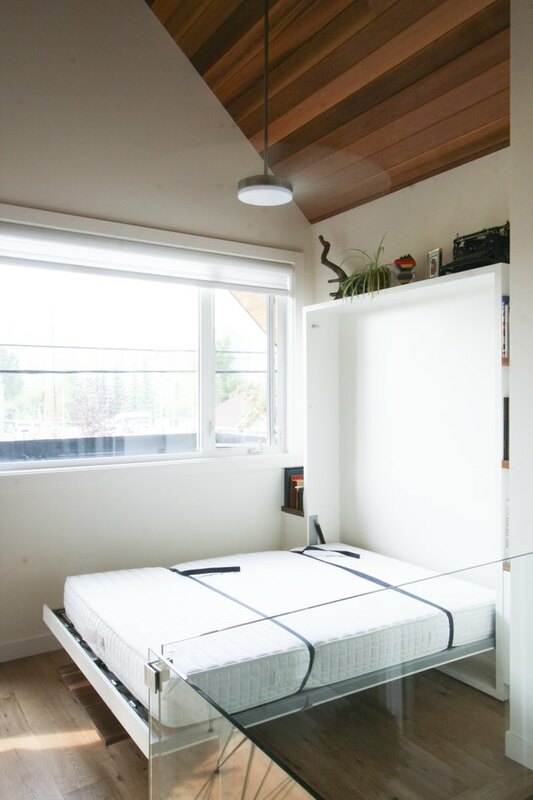 Thanks to the Murphy bed, the office doubles as a guest room. 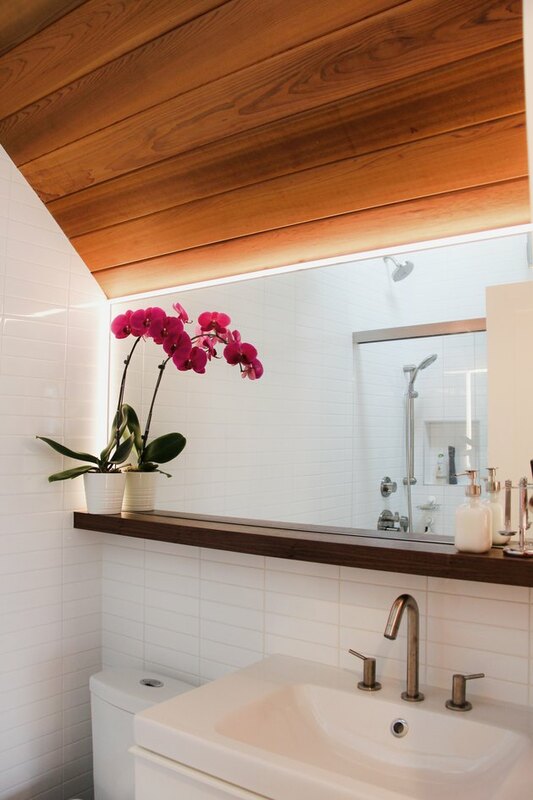 The warm cedar ceilings continue in the bathroom, where narrow subway tiles line the walls.